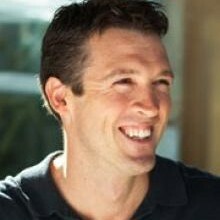 Shawn joined Menlo Ventures in 2002 as an Associate and was promoted to Managing Director two years later at age 30. Shawn focuses on consumer tech with particular interest in major technological shifts that improve users’ daily lives. He represents Menlo Ventures on the boards of IMVU, PlayPhone, Roku, TeleNav, Uber and YuMe. Prior investments include Siri, in which Menlo was the first investor, and largest shareholder when Apple acquired the company in 2010, PlaySpan (acquired by Visa), and CinemaNow, acquired by Rovi. He is also the founder and CEO of Handle, the World’s First Priority Engine. Shawn was educated as an Electrical Engineer (BS/MS from the University of Illinois, Champaign where he graduated with highest honors) but was continually pulled into Computer Science. From his internships at Motorola to his DARPA-funded fellowship in computational electromagnetics, Shawn picked up the coding his fellow EE’s shunned. This led him to a ‘hot’ Chicago startup called Open Port Technology where he wrote wire protocols in C++ in the days before JSON and got his first patent. He loved it, but left after much deliberation in 2000 when he was accepted into the Stanford MBA program. Exercising his employee stock options on the way out constituted his first official write-off as an investor. Despite an entrance essay proclaiming aspirations to become a business savvy CTO, Shawn spent his MBA summer at Booz & Co and became a VC at graduation. For fun Shawn enjoys snowboarding, wakeboarding, motorcycling and hiking with his family. He also serves on the board of Rocketship Education and advocates Lean Startup principles, learned and honed with friends Steve Blank and Eric Ries at IMVU where the movement began to take hold.